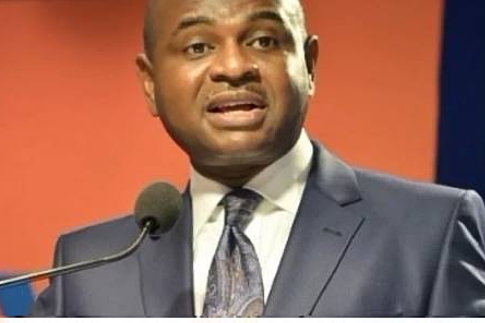 Prof. Kingsley Moghalu, the presidential candidate of the Young Progressive Party, YPP, in the last presidential election, has blasted Nigerian youths for the role they played during the elections. Moghalu, was a guest on Channels Television’s Politics Today. He regretted that the youths did not make their presence felt during the polls. Asked if the election witnessed improvement when compared to 2015, Moghalu said that chaos marred some polling centres coupled with an alleged organisational inefficiency shortly before the commencement of voting. “The organisational efficiency and effectiveness of the election was generally weak. We saw it. First, it was postponed at the last minute and in many parts of the country, there was chaos at the polling booths especially in rural areas,” he added. He further advised President Muhammadu Buhari to justify the votes and work hard, noting that the Federal Government should focus on three cores areas bordering on national unity, building a vibrant economy and the nation’s security.